Now some types of diet or diet consider carbohydrates as nutrients that need to be avoided. Though many functions of carbohydrates for the body are needed for daily activities. In addition to protein and fat, carbohydrates are also the main nutrients contained in the daily diet and are needed by the body. Almost all healthy diets suggest to include a combination of all three. 1. Main energy sourceThe first function of carbohydrates is as the main energy source for the body. This energy is needed from breathing to more intense body activity, such as running. During the digestion process, the source of carbohydrates will be broken down into sugar, and then absorbed by the digestive tract and into the bloodstream. This sugar is known as blood sugar (glucose). Assisted with insulin, sugar in the blood will enter the body's cells. If there is excess glucose, it will be stored in the muscles and liver in the form of glycogen. When completely unused, glucose is converted into fat. The second function of carbohydrates is to limit calorie intake. How to? According to scientific evidence, high fiber content from foods containing complex carbohydrates can prolong satiety. Compared to fat, carbohydrates also contain fewer calories. In 1 gram of fat contains 9 calories, while in 1 gram of carbohydrates only contains 4 calories. Carbohydrates also function to reduce the risk of disease. This is based on evidence from several studies regarding dietary fiber from whole grains that are thought to be able to reduce the risk of heart disease, obesity, type 2 diabetes, and maintain the health conditions of the digestive organs. Carbohydrate sources that are rich in dietary fiber include vegetables, potatoes or sweet potatoes that are cooked with skin, and whole grains. 4. Determinants of the glycemic indexThe glycemic index is a benchmark that assesses how fast carbohydrates or sugars in food are absorbed into the body. The higher the glycemic index, the faster these foods increase blood sugar levels. Whereas foods with a low glycemic index are more slowly digested by the body and do not make blood sugar rise faster. Research shows that the habit of eating foods or drinks with a high glycemic index, such as white bread, sweet cakes, chocolate, and soft drinks that are sweet, can increase the risk of type 2 diabetes. There are two types of carbohydrates, which are simple and complex. 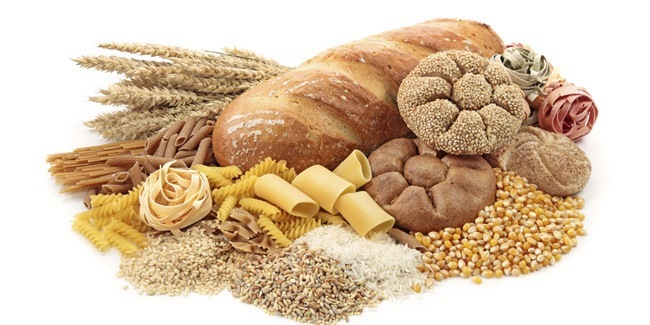 Complex carbohydrates take longer to process in the body, compared to simple carbohydrates. On the bright side, complex carbohydrates will provide energy consistently, without making the body get excessive calorie intake suddenly. Complex carbohydrates are also less risky to accumulate as fat in the body. Sugar is a simple form of carbohydrates, while flour and fiber are complex carbohydrates. Simple sugars include fructose, and sucrose and lactose in fruits, vegetables, milk, and dairy products. There are several types of food that can provide optimal carbohydrate function for the body. These types of foods include whole grains and bread that contain these ingredients (whole grains), brown rice or brown rice, whole grain pasta or cereals, nuts, vegetables, and fruits. The recommended carbohydrate intake is around 45-65 percent of total daily calories, or around 900-1,300 calories from a total of 2,000 calories per day. To obtain it, a carbohydrate source of around 225-325 grams per day is needed. If you lack carbohydrates, it is likely to make the body lack energy. When the body lacks calories from carbohydrates, the symptoms that can be felt are dizziness, nausea, and weakness. An extreme diet that limits carbohydrates and other nutrients can also make the body dehydrated. Don't underestimate the function of carbohydrates for body health. If you want to apply a diet that reduces carbohydrates, first consult with a nutrition doctor to ensure that this type of diet matches your health condition.